Everything from classic street competition and off-road tracks to boat racing on the open ocean, or take to the skies in aerial events. 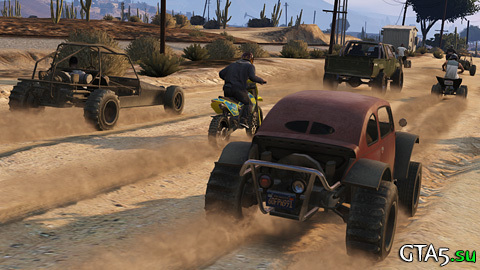 Jump into the madness of a GTA Race, or try out a brand new race type, Rally, where driver and co-pilot work together to navigate treacherous courses at high speeds. Blaze through checkpoint-to-checkpoint against fierce competition in a race to the finish line. Be the first at the checkered flag to claim your glory. While this race is weapons-free, it never hurts to give opponents a well-placed bumper to bumper love tap or strategically timed sideswipe. 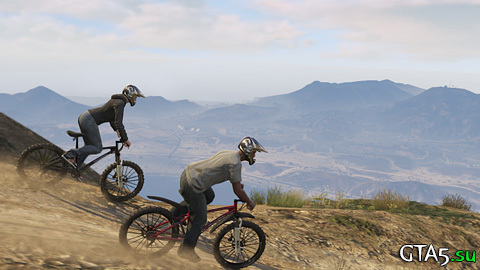 Whether by motorcycle, BMX or good old-fashioned mountain bike, race across the open terrain, vast highways and mountainous paths of Los Santos and Blaine County. Rally Race is a collaborative team race that requires camaraderie, trust and skills. 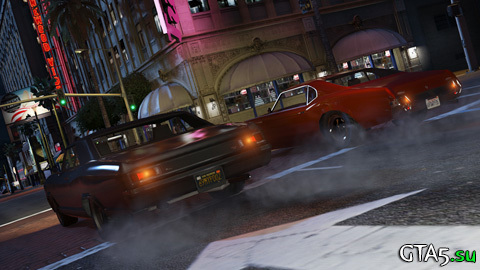 One player drives while the other navigates using a headset or directional buttons to direct the driver. Only the navigator sees the checkpoints and radar, so the driver must rely on savvy judgment to traverse the course and help steer their team to victory. 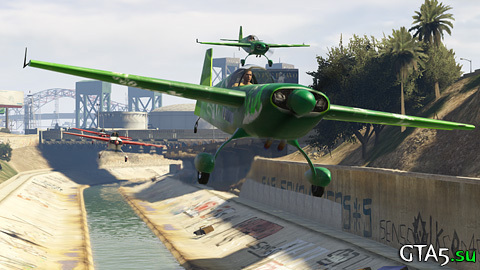 Air Race over southern San Andreas in epic dogfights piloting a heavy duty, military grade and artillery equipped P-996 Lazer jets – or challenge fellow pilots to an aerial race flying light planes, faster personal jets or helicopters. 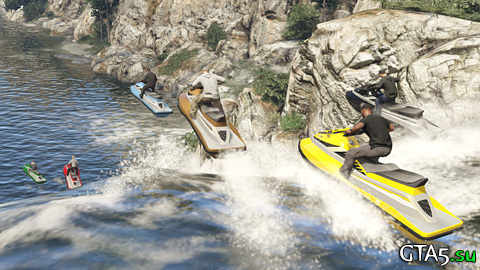 Show those sedentary socialites soaking up the sun on Vespucci Beach how a true salty dog gets down – on a light and nimble Seashark, or a mercurial speedboat of your choosing to complete the circuit and demonstrate your nautical know-how. Attacking other drivers is not only permitted but expected in this highly combative race type. 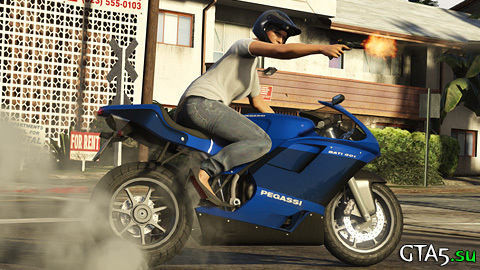 A GTA Race includes all the ingredients of its namesake, high-octane vehicles and weapons of all types, which players can pick up while in or out of a vehicle and use against each other. Go tooth-and-claw till the bitter end to assure your rivals finish tardy and tarnished.